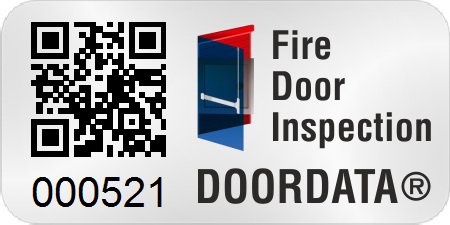 With DOORDATA’s desktop and mobile inspection tools, inspectors are able to easily manage fire door inspection information on the job or offsite for projects of any size. MyDOORDATA is a browser-based, web application that manages inspections, door data, pictures, users, passwords, and groups. Grant your customers access to their completed inspection reports. You can start new inspections in the office by entering and/or importing data. 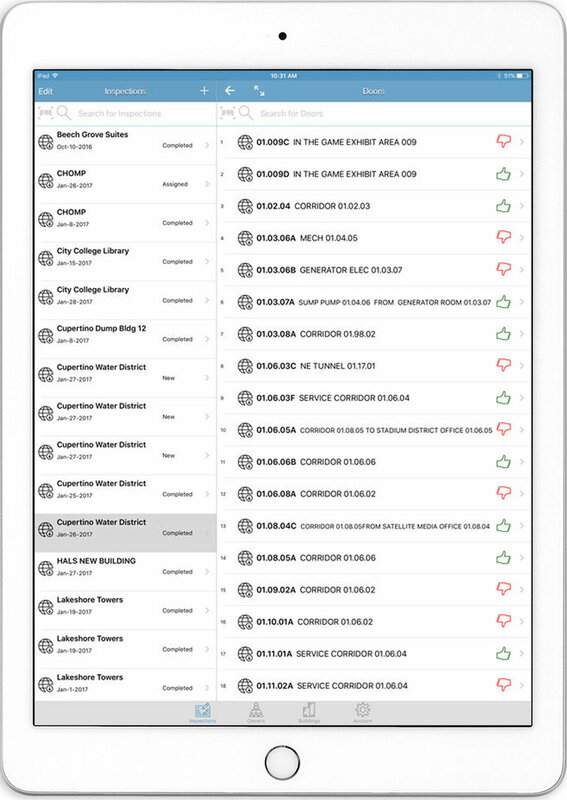 Your inspections can be completed entirely in the browser interface, or you can add the native DOORDATA app for your mobile solution. 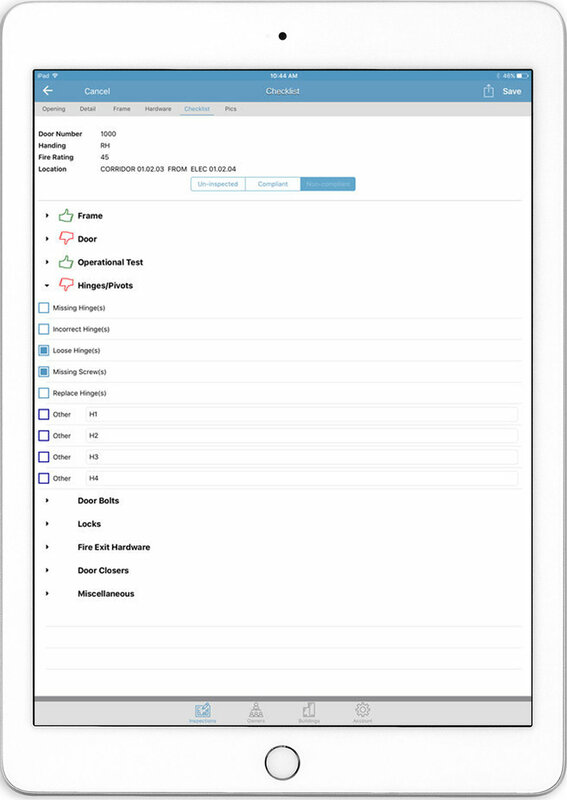 Inspectors using the DOORDATA mobile app in the field can complete the inspection process on-site, get appropriate signatures, and electronically distribute reports as required. You can review all inspections in real-time, with status, any time you wish. MobileDOORDATA is an extension of our web application on your mobile device. No need for cellular or data connectivity while conducting your inspection when using DOORDATA. With our native application, all data collection can be done offline. When re-connected to your data service, simply finish your work with our web application, generate and email reports while still in the field. MobileDOORDATA access does require a yearly subscription to our web application, MyDOORDATA. DOORDATA solutions are used by door inspectors, hospitals, schools and maintenance companies throughout the US and Canada.